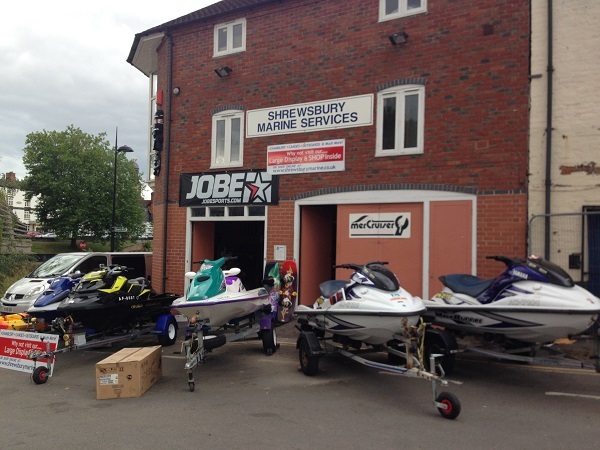 Shrewsbury Marine is a well established family run Marine Servicing, Engine Spares and Chandlery centre with over 40 years experience of the boating industry. We are long-established agents for Mercury and Mercruiser engines, and keep a range of smaller Mercury engines in stock. In addition we stock many Mercury spares, accessories and Quicksilver oils. We can also supply other manufacturer's spares to order if provided with serial/model numbers. Our Marine Technician regularly attends Mercury/Mercruiser courses to keep up to date with changing technology. We also service jetskiis, depending on make and model, and keep some jetski oils in stock. We have now expanding our on-line presence with this website. We hope you liike it!